At a time when India’s electronic vehicle (EV) ecosystem is struggling, the one place where it’s getting traction is the country’s $154 billion IT industry. On July 18, Tata Motors said it would supply 10 EVs to IT outsourcing major Cognizant. These EVs will be used inside Cognizant’s Hyderabad campus, where Tata Power will supply and install two fast-charging stations. 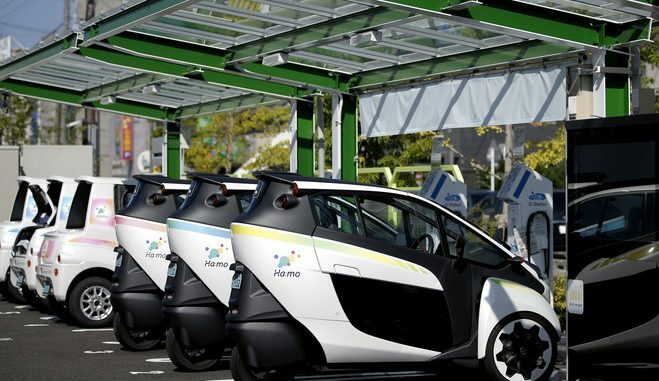 This comes just months after India’s third-largest IT outsourcing company, Wipro, committed to transitioning its global fleets into EVs by 2030. In April this year, the Bengaluru-based company said it will scale up its use to at least 500 EVs in the next three years and 1,000 by 2023. This means, in five years, Wipro alone will be using around half the number of EVs annually sold in India right now. Several IT firms in India have been using EVs—mostly basic battery-operated carts—to commute within their campuses for long. Now they want to go beyond. Wipro has similar plans for Delhi, Bengaluru, Hyderabad, and Pune. This will involve scaling up to nearly 2,000 vehicles, it told Quartz in an email. The billionaire Azim Premji-led company has already leased around 50 EVs in Hyderabad and the National Capital Region. “It has also launched corporate vehicle ownership and lease programmes, and installed charging points at all its major facilities in India,” the company said. Unisys India, the Indian arm of Pennsylvania-based IT major Unisys Corp, began using EVs in 2015, the company told Quartz. “These electric vehicles run on lithium-ion batteries and do not require fossil fuels to run,” it said. Currently, its EVs are clocking 400,000 kilometres per month. However, skeptics say these decisions have more to do with projecting an ec0-friendly image than bringing about a real change. Amid a changing business environment, Indian IT companies have been struggling to adapt to new technologies. The shift to EVs could well be a step towards showing clients how up-to-date they are. While within their campuses, EVs have worked great, expanding their usage to city roads will be a challenge given the lack of supporting infrastructure in India and the generally slow speed limits of most EVs. “EVs will thrive only where there is a predictable usage pattern because of a lack of proper infrastructure still,” said Kumar Kandaswami, a partner at Delloite.